Saturday - August 10th I will be the featured artist at the Carrie Goller Gallery in Washington in August. I will be showing some of my Insomnia series along with some other work. If you are in the area please come by and say hello. 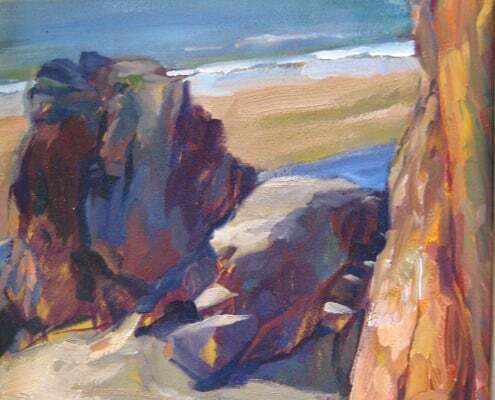 Saturday & Sunday - July 27th - 28th This workshop will focus on creating a solid start with specific attention paid to identifying and drawing the planes of the model. We will then move on to the application of value and color to that form. Small class size allows for each student to work at your own pace and still receive the insights you need for your own personal breakthroughs. 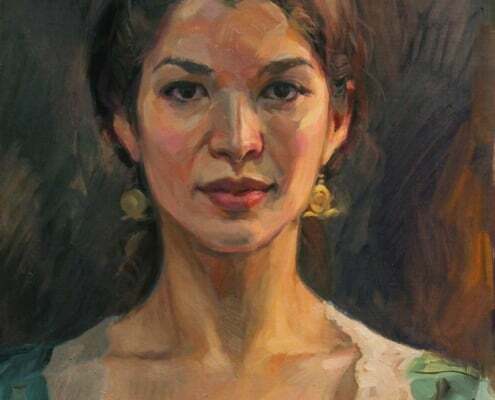 I will do a portrait painting demo and answer any questions that come up along the way. 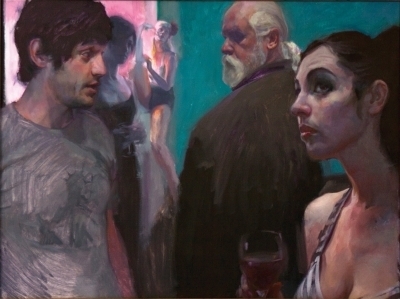 Direct painting allows for a vital connection with the subject. Staying consistently more present to the subject in front of us as we paint changes the way that we see. 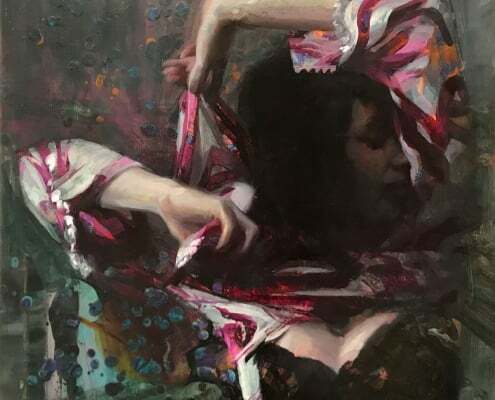 The result is a fresh and very dynamic painting based on our immediate observation rather than preconceived notions of what we think we know about the model and the portrait. Saturday & Sunday - June 1st & 2nd Let's paint outside! 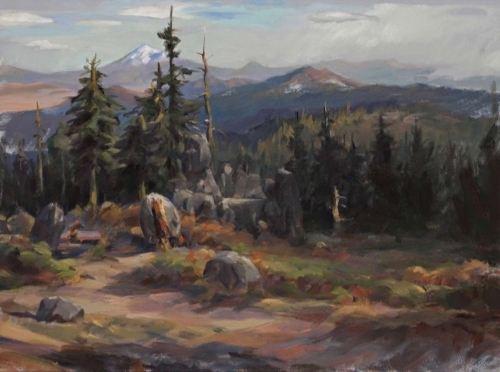 I will instruct during this 3-day Plein air painting workshop capturing the beautiful Southern Oregon landscape. 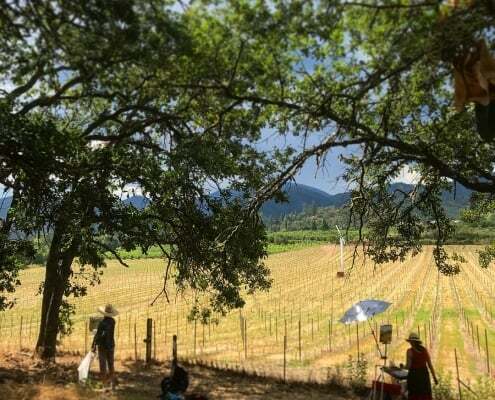 The rolling hills and vineyards are a stunning setting to paint your masterpiece. The workshops will cover the fundamental principles of painting and composition with a focus on creating a sense of depth in your work. 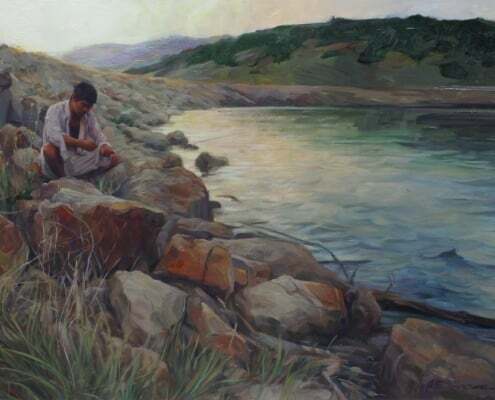 Drawing, value, and color, will be used to create paintings with a strong sense of design. Friday evening meet & greet with demos and discussion. On location demos and one on ones. Fridays - March 15th - May 10th (No Class May 3rd) Let's Look at Things Differently. 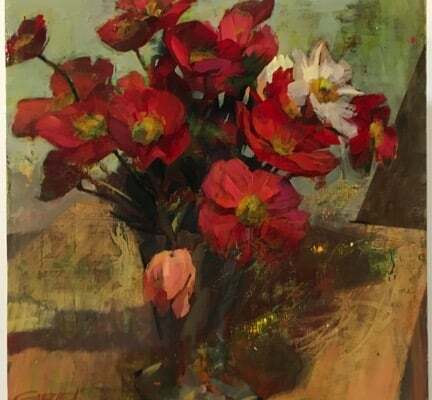 The focus of this term will be on using color in a way that is both powerful and harmonious. By shifting our perspective on how we see and use color just a bit, we can create scintillating pallets with rich and dynamic color while retaining a strong sense of sophistication and cohesion. 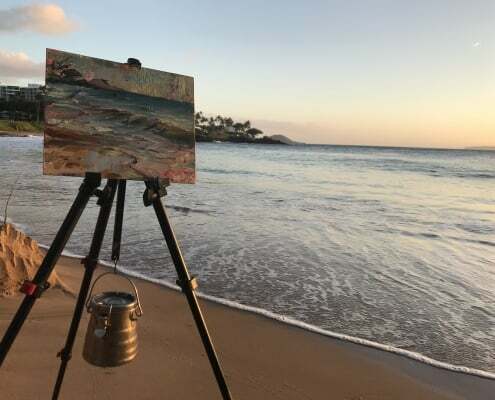 Hawaii Show- Saturday - February 16th - 4:00pm - 6:00pm Stop by Enclāve Studios on Saturday, Valentines Day weekend to see my latest works inspired by my painting trip in Maui, and enjoy some wine and chocolate with your Valentine.